Marketing solutions to awaken your senses. Enjoy the beauty in everyday things. 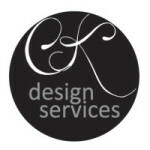 Welcome to Carolyn Kuzyk Design. Surprise, my name is Carolyn! I have been a graphic designer since 2001 and have been in marketing since 2003, but it gets better… keep reading. My passion for travel and all things aesthetic has paved the way for a very diverse background. I am currently completing an interior design as well as an AutoCad certificate program. Learning and acquiring new skills through different outlets conventional or not, is a way of life. Not to brag but my extensive book collection speaks volumes! Well, enough about my hoarding habits… please contact me if you’re looking for someone to work with you to meet your graphic design needs. It’s just a bonus that I know the difference between “you’re” and “your”! Check back soon to check out my project updates.